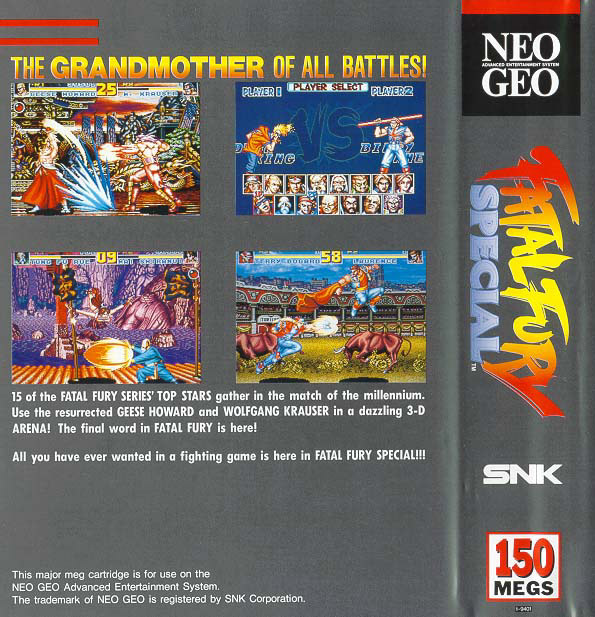 His elder half-brother, Wolfgang Krauser, took the reigns of the underworld after his younger brother's passing. 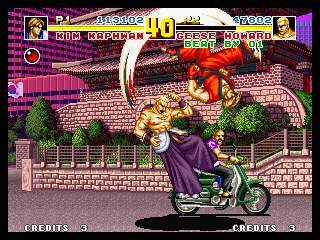 However, the resurrected Geese deprives Krauser his seat of glory and the Bogard brothers burn with the flames of revenge. 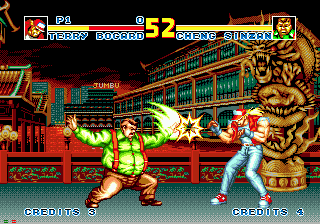 Terry and Andy hear where Geese is located. 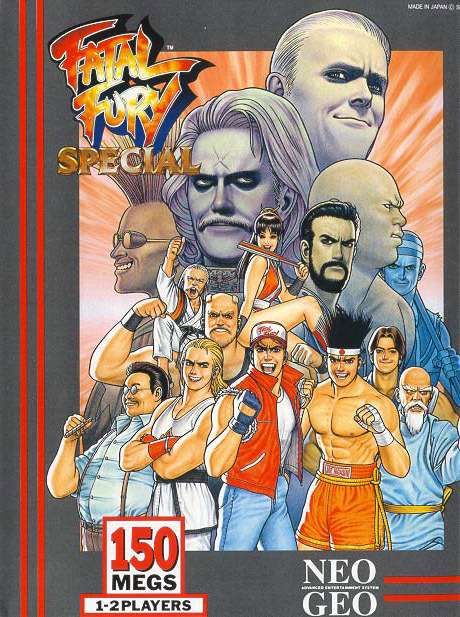 "We're coming for you, Geese!" A new legend is about to begin. 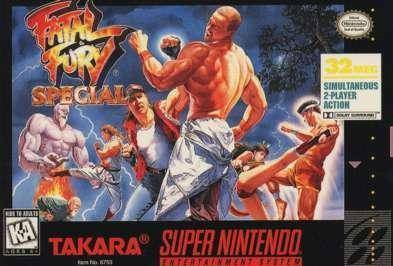 REVIEW: No, Fatal Fury "Special" isn't retarded, it's just a more complete version of Fatal Fury 2... (cheap joke, my apologies). 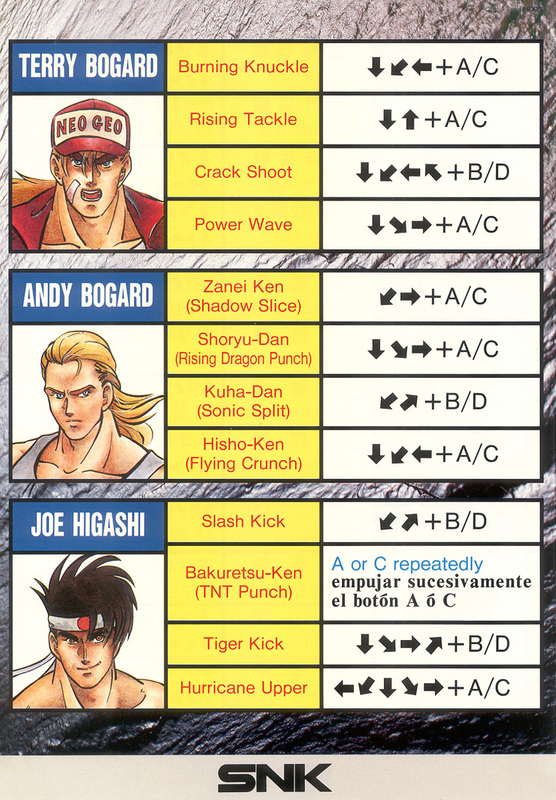 This upgrade to Fatal Fury 2 enables players to select the previously AI-only characters by default (Billy Kane, Axel Hawk, Laurence Blood, and Wolfgang Krauser). 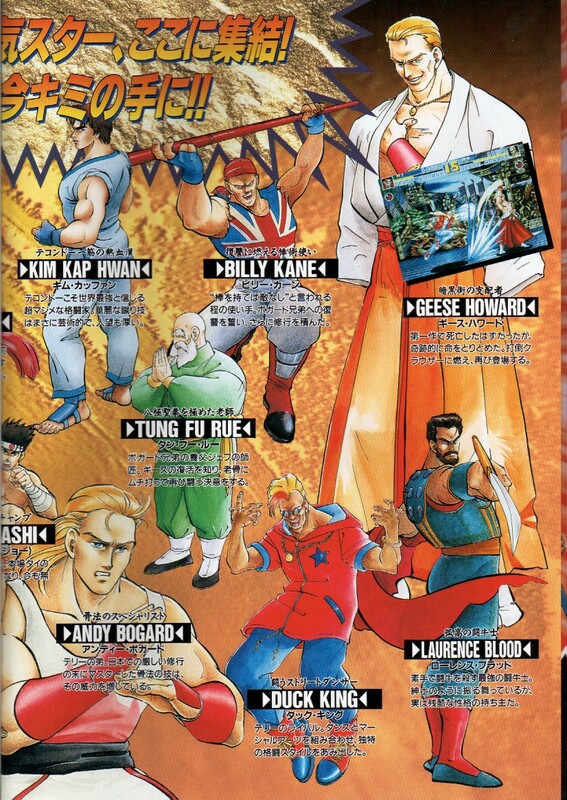 Several classic characters who were missing from the the prequel also make their return, including: Duck King, Tung Fu Rue, and the mighty Geese Howard. 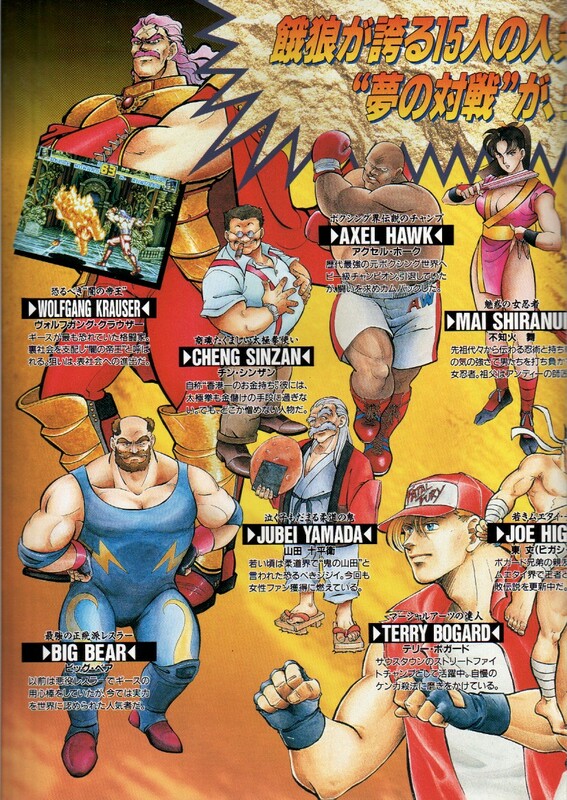 Ryo Sakazaki from the Art Of Fighting series even makes an epic special appearance as a bonus character. 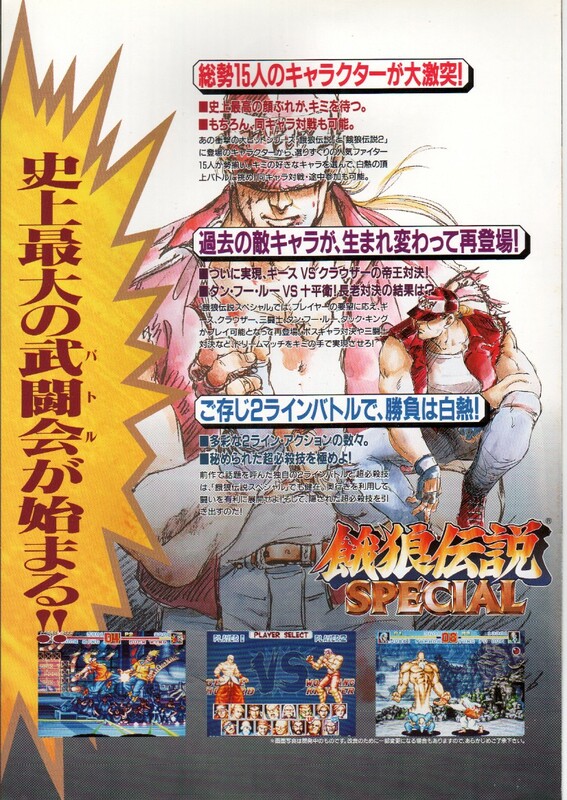 Fun Fact: The popularity and positive fan-response from Ryo Sakazaki appearing in Fatal Fury Special, was part of the reason The King of Fighters series was born (about a year later). 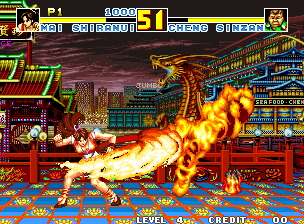 Meet Mai Shiranui Mr. 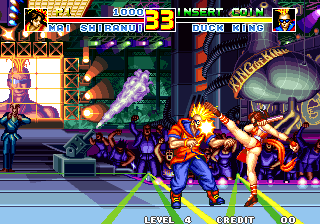 Duck King! 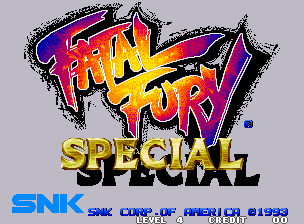 The mechanics of Fatal Fury Special slightly expand upon those from Fatal Fury 2, adding a new combo system and a faster game speed. 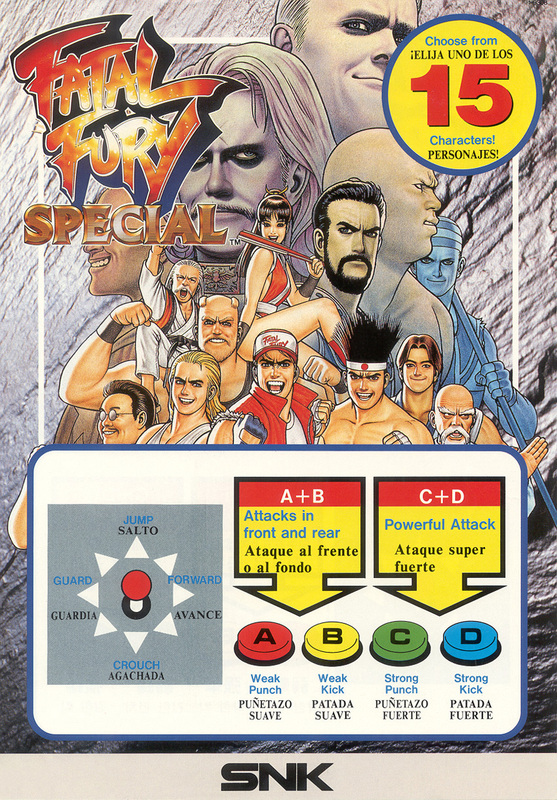 Unlike the previous Fatal Fury games, Special allows players to combine attacks. 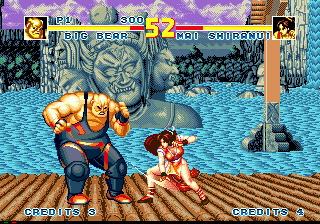 When an attack lands, the player will have a brief moment of invincibility. 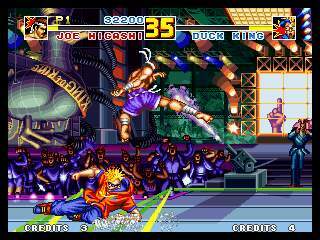 The number of Line Move Attacks have also increased, pressing the Light Punch or Light Kick button while the opponent is on an opposite line will perform a Low Line Jump Attack. Doesn't get much more epic than Mt. Rushmore.